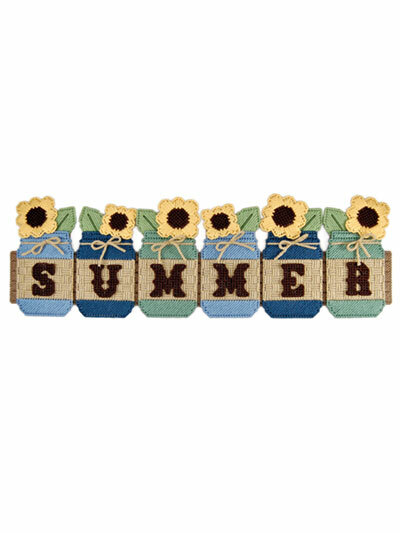 Add a touch of country to your decor with cute jar wall hangings! 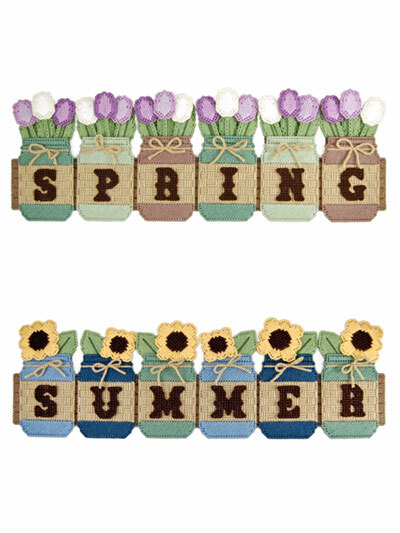 Welcome spring and summer with these wall hangings made using 7-count plastic canvas and worsted-weight yarn. 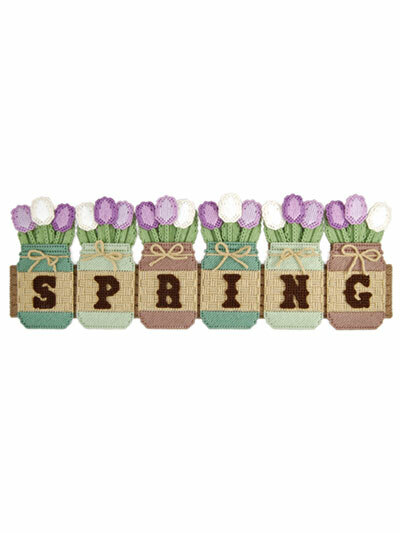 Finished sizes: Spring 22 1/2"W x 8"D; Summer 22 1/2"W x 7 1/4"D.